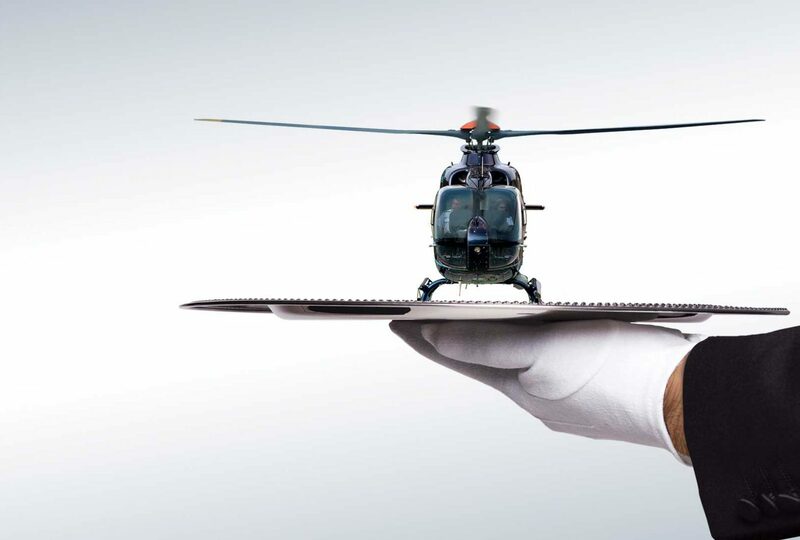 It is hard to believe that it was back in 2011 that we launched this genre-breaking rotorcraft advertising campaign. Conceived originally for Eurocopter and from 2014, deployed under the groups rationalised brand name of Airbus Helicopters. 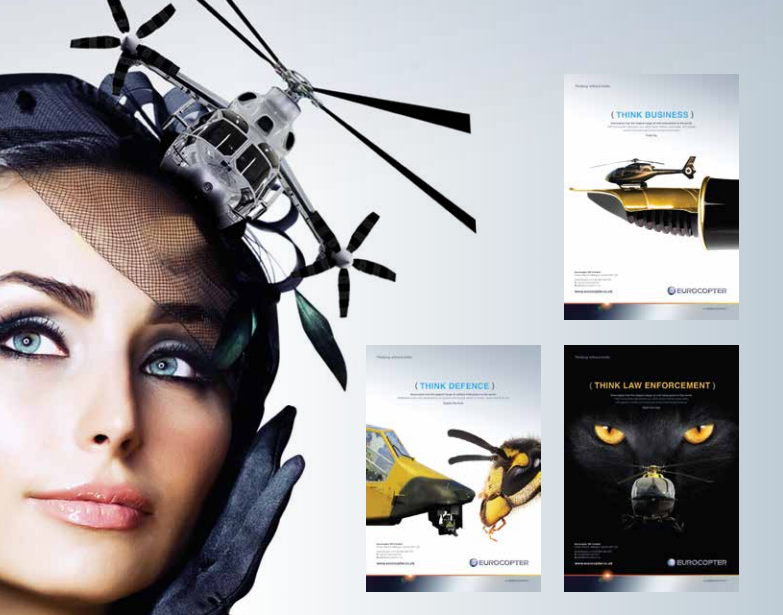 Since winning the pitch and taking the account from the incumbent – one of the biggest global agency networks, we have been proud to see our campaign deployed across all the major aerospace, aviation and rotorcraft mission-specific media in the world including prominent back cover positions in the original and iconic Flight International magazine. The images above are from the original pitch and the fascinator design featured an experimental prototype. The rotorcraft advertising campaign is also regularly used in the Airbus Helicopters company magazine and has gone ‘beyond print’ to become truly integrated and been deployed in exhibitions, at the entrance to airports and around the clients major works and offices.